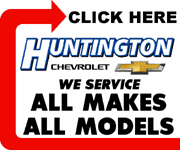 Huntington County Commissioner Larry Buzzard, of Huntington, has announced his candidacy for mayor of Huntington. Buzzard made the announcement on Aug. 30, months before the official filing period which begins in January 2019. Buzzard will seek the GOP nomination for mayor in the May primary election on May 7, 2019. The general election is set for Nov. 3, 2019. Buzzard is currently serving his second term as a county commissioner from District 2. He was elected to full terms in 2012 and 2016, and also served in 2007. Previously, he served on the Huntington Common Council from 1996 to 1999 and the Huntington County Council in 2000.